Our friend Veronica Peterson asked us to find the village of Killeinagh, in which some of her ancestors, the Shannons, lived. Killeinagh is a rural hamlet outside Ennistimon, near the famous Cliffs of Moher on the Clare coast. We found it for her -- and for ourselves. It is a delightful view into rural Ireland of a century ago. 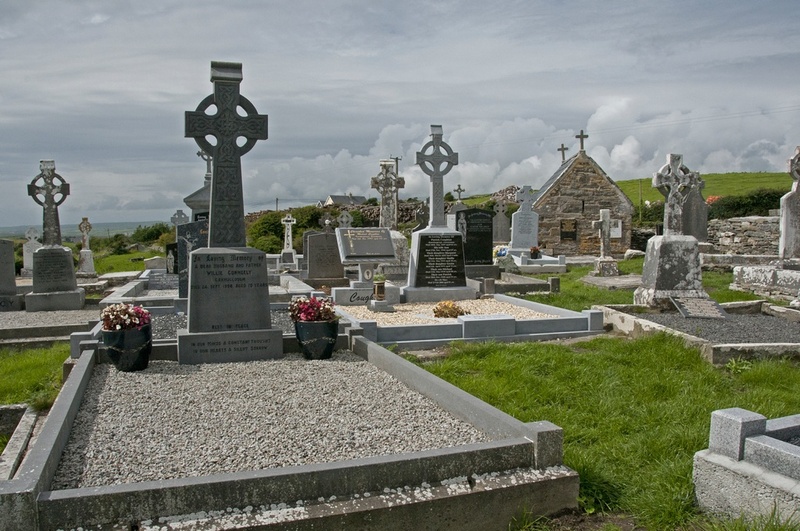 The Killeinagh burial ground has an interesting history of its own, too.